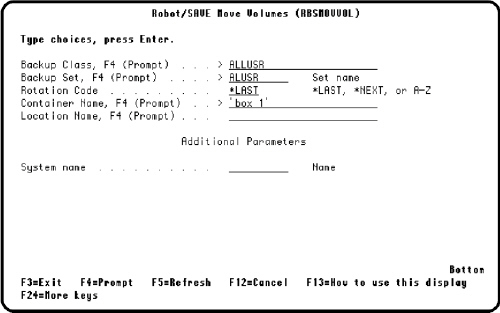 Use the RBSMOVVOL command to move volumes to locations and containers. For example, you can move all the volumes of a backup set from one location or container to another. 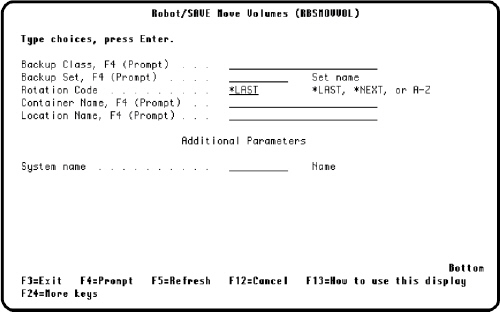 The RBSMOVVOL command can be run interactively or in batch. 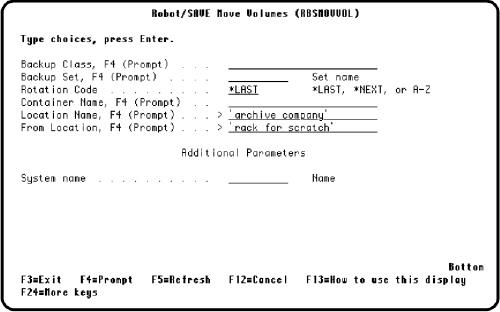 Note: We do not recommend using the RBSMOVVOL command if you have automated move sets established. You can enter either a location or container, but not both. Entering a location or container without a backup class allows you to specify a "From" field. This is particularly helpful if you are moving all the volumes from one location or container to another. Note: To change both the location and container, you must run the RBSMOVVOL command twice.